The Spiritual Thought for the Day! The Kingdom Culture Connection Movement! Take your spiritual gifting test! W.O.W. (Walking on Water) Gospel Ministries is a non-profit organization that started as a group of business people who decided to give their businesses back to GOD! As GOD would have it the W.O.W. Gospel Ministries was assembled by the Holy Spirit by helping people start their day off and give their FIRST FRUITS to GOD! To study how to get OUT of the boat of EVERYDAY life and WALK ON THE WATER with JESUS! So as members of the body of CHRIST we all decided to bring our gifts and place them back at the alter so that GOD can duplicate and multiply the blessings as well as to show the world that our light CAN shine in ANY dark place that the enemy may have us! So with this Rev. Perry L Austin and his wife Kimberly decided to lead this group of blessed and highly favored men and women to encourage what GOD has already ordained. As well as teaching biblical principles in business & life, and understanding these principles, which will sustain spiritual awareness in business as well as in life! So if you are ready for your PLAN to have a PURPOSE and with that learn the PROCEDURE, then GOD will participate to show you his PROMISES! JOIN US 6 DAYS A WEEK! WE WELCOME EACH AND EVERYONE OF YOU TO JOIN US ON OUR CALL. 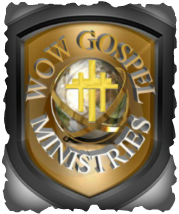 COME CRY, LAUGH, DANCE, SHOUT AND JUST GET YOUR PRAISE ON THE WOW GOSPEL GROUP CALL! WEEKDAYS MONDAY THRU SATURDAY @ 6:30 AM TILL 8:30 AM. FEEL FREE TO COME IN, SIT BACK AND ENJOY YOURSELF! post it on the site! Come Join Us in the WORD. Every Monday-Saturday @ 6:30 am -8:30 am! 605.475.3200 pin 401251# press 1 and GET YOUR PRAISE ON!! !